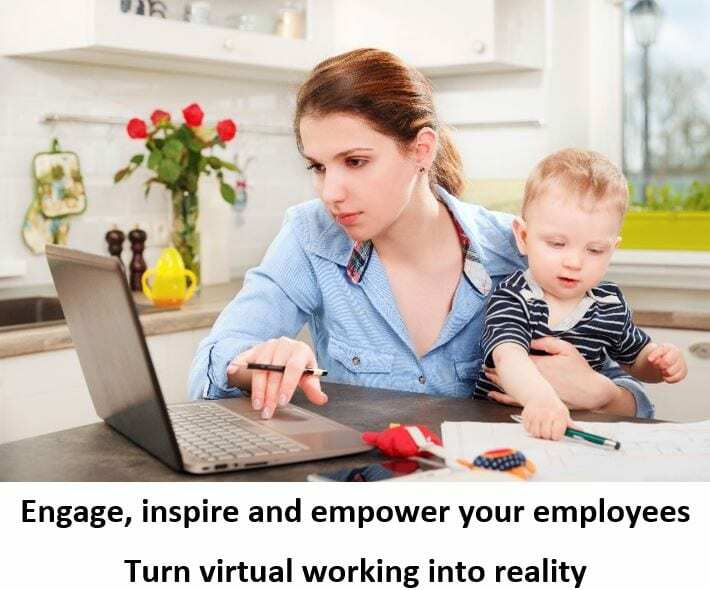 Engage, inspire and empower your employees, turn virtual working into reality. Take the open plan office, a major reason for its emergence was down to new trends in architecture. However, it wasn’t just architecture that changed the layout of typical offices. Beliefs about people management encouraged open plan offices too, an idea that encouraged transparency and a ‘flatter’ hierarchy. Workplaces are constantly evolving, and a whole range of trends influence how they develop further. Technology also played a major role too. Having the ability to hot desk and work flexibly, where people aren’t welded to one local machine on a desktop, requires a central file store that can be accessed from anywhere. As more and more workers are able and willing to work from outside the traditional office, there is a growing demand in businesses of all sizes for this new approach to the professional environment. The ability to work virtually offers significant benefits, from reduced staff turnover to higher productivity and lower stress. The virtual workforce is easier to implement than ever before, with platforms like Office 365 available at low monthly costs. There really is no excuse to consider implementing this new way of working. You could move from a traditional model of employee engagement to having a fully-fledged virtual workforce in a few short weeks. Also, you could boast 20-40% raised productivity and 72% less staff turnover. Virtual working can be a disruptive force in the modern company, and already 50% of jobs are compatible with at least partial virtual working. Tools like Office 365 make it easy to roll-out and maintain. Speak to us today and find out how we can help you implement Office 365 and its related products and services quickly, securely and cost-effectively.